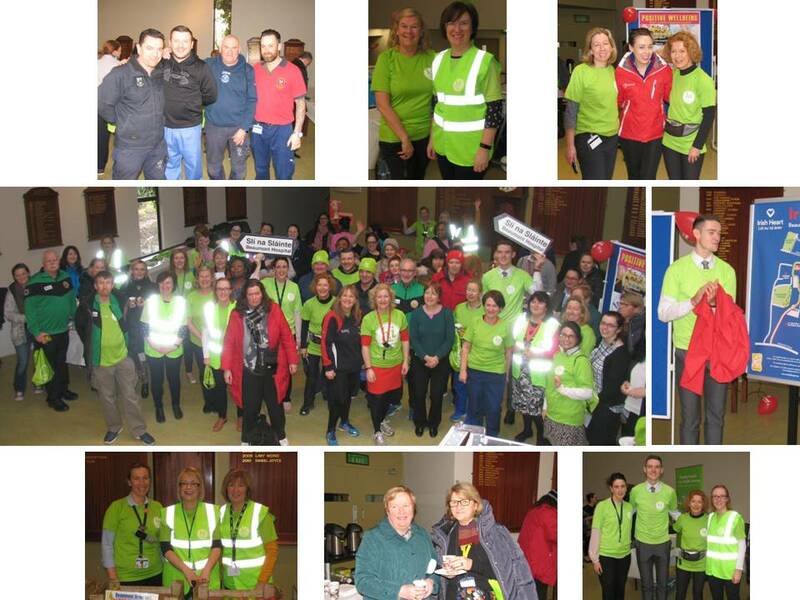 Beaumont Hospital launched the Hospital Sli Na Slainte walking routes today (Wed 31st Jan), in partnership with the Irish Heart Foundation and supported by Healthy Ireland and the HSE. Today, we unveiled one of the new map boards, followed by a walk and refreshments. The Beaumont Hospital Slí na Sláinte is made up of mapped and measured signposted walks around the hospital grounds and the surrounding area to encourage staff, service users, visitors and the wider community to be more physically active. The Slí na Sláinte initiative, which translates as 'Path to Health', encourages people in workplaces, schools and communities to incorporate more walking into their day, using mapped and measured routes. Over 400 routes have been developed across the country, more than 50 of which are in HSE sites. Thanks are due to the Health Promotion Department, the Healthy Ireland Physical Activity Goup in Beaumont Hospital and the Technical Services Department (who completed the infrastructure of the walks). A special thanks to Dublin Footballer Brian Fenton, who came into unveil the new map boards.